Revolutionize the way you tailor your nutrition and dietary needs to your personal biology. 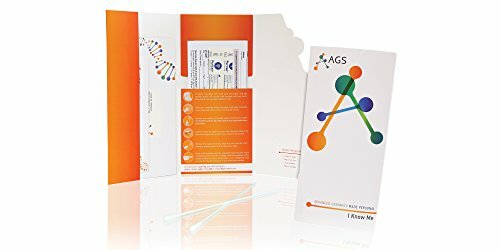 Using the latest discoveries in genetic research, the AGS Health & Wellness Genetic Test analyzes more than 60 genes, including genes involved with overeating and addictive behaviors, cholesterol and diabetes risks, vitamin deficiencies, exercise impact and favorable physical training methods. You will discover what diet and exercises are best for you, find out which nutrients you may be deficient in, and learn about your appetite and food sensitivities. Possessing the knowledge of your genetic information can empower you to make informed decisions about your body and lifestyle. AGS adheres to strict confidentiality and privacy laws that ensure that genetic information is kept private. Unlike several other genetic companies, AGS does not sell or transfer any personal data to any third parties. If you have any questions about this product by Advanced Genomic, contact us by completing and submitting the form below. If you are looking for a specif part number, please include it with your message.